Just swap your volume pot with a Blackouts Modular Preamp. It combines the high-output, low-noise Blackouts preamp with a quality volume pot and the Liberator Solderless Pickup Change System for quick connections. Get your own sound-with your own look. The genre-defining crunch and wail of modern heavy rock guitar often comes from active guitar pickups, which have a built-in, battery-powered preamp epoxy-sealed into a stark black casing. It's a distinctly modern sound married to a patently modern look. 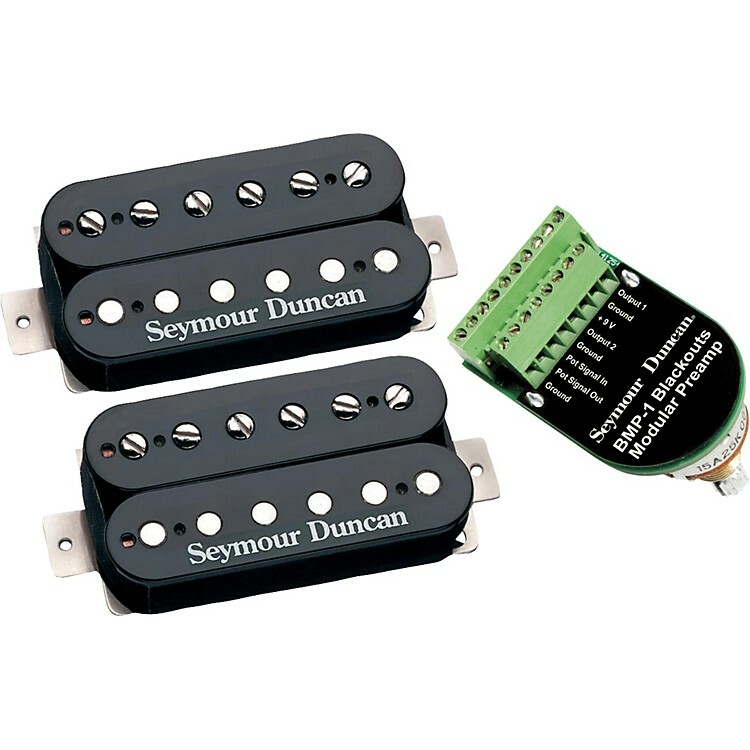 To capture the precise tone and performance of Original Blackouts pickups, Seymour Duncan created the specially voiced Blackouts Coil Pack, a replacement humbucker designed specifically for use with the Blackouts Modular Preamp. Connecting the Coil Pack to Blackouts Modular Preamp is an incredibly simple, solderless procedure, thanks to the same bare-wire Lockdown connector stations used in the Seymour Duncan Liberator Solderless Pickup Change System. Installing pickups only requires a mini-screwdriver to secure pickup and battery leads into the rock-solid screw-clamp connectors.